*Editor’s note: We are cross-posting this commentary from Mr. Roberts’s blog, The 10b-5 Daily, where it originally appeared. Mr. Roberts authored Washington Legal Foundation’s amicus brief in Halliburton. The U.S. Supreme Court has issued a decision in the Halliburton v. Erica P. John Fund case holding that defendants can rebut the fraud-on-the-market presumption of reliance at the class certification stage with evidence of a lack of stock price impact. It is a 9-0 decision authored by Chief Justice Roberts, although Justice Thomas (joined by Justices Alito and Scalia) concurred only in the judgment. 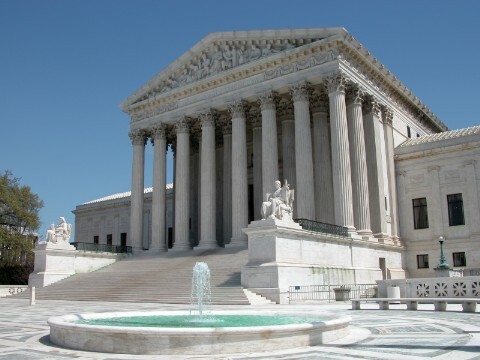 As discussed in a February 2010 post on this blog, Halliburton has a long history that now includes two Supreme Court decisions on class certification issues. A summary of the earlier Supreme Court decision can be found here. Under the fraud-on-the-market presumption, reliance by investors on a misrepresentation is presumed if the misrepresentation is material and the company’s shares were traded on an efficient market that would have incorporated the information into the stock price. The fraud-on-the-market presumption is crucial to pursuing a securities fraud case as a class action—without it, the proposed class of investors would have to provide actual proof of its common reliance on the alleged misrepresentation, a daunting task for classes that can include thousands of investors. The fraud-on-the-market presumption, however, is not part of the federal securities laws. It was judicially created by the Supreme Court in a 1988 decision (Basic v. Levinson). In Halliburton, the Court agreed to revisit that decision, but ultimately decided that there was an insufficient “special justification” for overturning its own precedent. The Court rejected the following key arguments. First, Halliburton argued that the fraud-on-the-market presumption was no longer tenable because (a) there is substantial empirical evidence that capital markets are not fundamentally efficient, and (b) investors do not always invest in reliance on the integrity of a stock’s price. The Court found, however, that the Basic decision was not undermined by either of these arguments because it was based “on the fairly modest premise that market professionals generally consider most publicly announced material statements about companies, thereby affecting stock market prices.” Accordingly, “[d]ebates about the precise degree to which stock prices accurately reflect public information are . . . largely beside the point” and it is sufficient that most investors do rely, either directly or indirectly, on the accuracy of stock prices. Second, Halliburton argued that the fraud-on-the-market presumption could not be reconciled with more recent Court decisions making it clear that plaintiffs must prove that their proposed class meets all of the certification requirements imposed by the Federal Rules of Civil Procedure. The Court disagreed, noting that plaintiffs who invoke the fraud-on-the-market presumption must still prove certain prerequisites for that presumption—publicity, market efficiency, and market timing—before class certification. Finally, Halliburton argued that the fraud-on-the-market presumption, by facilitating securities class actions, “allow[s] plaintiffs to extort large settlements from defendants from meritless claims; punish innocent shareholders, who end up having to pay settlements and judgments; impose excessive costs on businesses; and consume a disproportionately large share of judicial resources.” The Court found that these “concerns are more appropriately addressed to Congress, which has in fact responded, to some extent, to many of the issues raised by Halliburton and its amici.” Moreover, the fact that Congress “may overturn or modify any aspect of our interpretations of the reliance requirement, including the Basic presumption itself” supports the notion that the principle of stare decisis should be applied to the Basic decision. Although the Court was unwilling to overturn Basic, it did agree with Halliburton that defendants should be able to rebut the fraud-on-the-market presumption with evidence that the alleged misrepresentation did not actually affect the stock price. Notably, price impact evidence is already used at the class certification stage “for the purpose of countering a plaintiff’s showing of market efficiency” by establishing that the stock price did not react to publicly reported events. If it can be used to rebut this prerequisite for the fraud-on-the-market presumption (which is nothing more than “an indirect showing of price impact”), the Court found that it also should be available to directly rebut the presumption as to the specific misrepresentation. Holding: Vacated judgment and remanded for further proceedings consistent with opinion. (2) Missing from the fray is Justice Kennedy, who joined Justice Thomas’ dissent in the recent Amgen decision. In that dissent, Justice Thomas expressed skepticism about the continued vitality of the fraud-on-the-market presumption. A number of commentators therefore assumed that Justice Kennedy was interested in overturning the Basic decision. Apparently not. Disclosure: The author of The 10b-5 Daily submitted an amicus brief on behalf of the Washington Legal Foundation in support of petitioner. The amicus brief primarily argued that the Court should permit defendants to rebut the fraud-on-the-market presumption with price impact evidence.